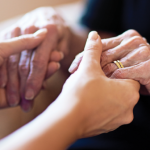 Leading Age Services Australia (LASA) has welcomed the release of details on the Remote Aged Care Workforce Accord initiative. The Accord is one of the recommendations contained in the Aged Care Workforce Strategy released last month and aims to provide a unified voice for remote and very remote aged care services. The industry-led Accord, chaired by Juniper WA CEO Chris Hall, is expected to meet at least four times a year to help support the workforce development for age services in remote locations. LASA Chief Executive Officer Sean Rooney said the move is an important recognition of the particular challenges facing age services in remote parts of Australia. “Our Members in remote Australia face extremely challenging workforce issues such as access to staff and higher operating costs that can impact on the delivery of quality services to older Australians living in these areas. LASA is the national peak body representing and supporting providers of age services across residential care, home care and retirement living. Our purpose is to enable a high performing, respected, and sustainable age services industry delivering accessible, affordable, quality care and services for older Australians. We represent providers of age services of all types and sizes located across Australia’s metropolitan, regional and rural areas. Consistent with the overall industry profile, 57% of our Members are not-for-profit providers, 33% are for-profit providers and 10% are government providers. Our diverse and representative membership gives LASA the ability to speak with credibility and authority on issues of importance to older Australians and the age services industry.